Among this year’s innovations is graphene, the strongest material ever developed, and this one-atom-thick sheet of carbon is lightweight and electrically conductive. Fifty times stronger than steel, graphene is used for extremely sensitive sensors, super-fast electronic switches, aircraft braking systems and touch screens. Companies using graphene include IBM and Bell Helicopter, and the material is available from companies such as Angstron Materials. Programmable magnets open the door to self assembling. The ability to manipulate magnetic fields lends itself to many applications from precision switches to snowboard bindings to spinal implants. Using heat to erase a magnetic field, the material can be reprogrammed to have multiple north and south poles of differing strengths. These magnets are available from Correlated Magnetics. Not all innovations on this list are technical. The committee also recognized the Build to Demand (BTD) process as something that can change the way things are manufactured. BTD, an alternative to the Toyota Production System (TPS), works well for suppliers that experience variable demand and seek to increase customer service rates while reducing inventories and production costs. Limited or no capital investment is required to implement BTD in most companies. John Deere Horicon Works originally developed BTD in the early 2000s with assistance from the University of Wisconsin-Madison. Microstructured molding tools will impact manufacturers of products that could benefit from enhanced surface capabilities. Created as square or custom inserts for injection or compression molds, the innovation adds several capabilities to any molded product: superhydrophobic, reduced friction, reduced fluid drag, increased heat transfer and many others. This approach reduces microstructure manufacturing cost by 83 percent to 98 percent. Developed by Hoowaki, microstructured tooling has been available since the spring of 2010. Programming light with quantum dots is an innovation that promises to change not only the way things are manufactured but also the way we light our homes and offices.Quantum dots are nanoparticles of a semiconductor material that range from 2 to 10 nanometers in diameter. The ability to control the size of a quantum dot enables a manufacturer to determine the color of light emitted. Quantum dots currently provide brighter images, lower power consumption, and improved color purity for electroluminescent displays. Companies manufacturing quantum dot-enabled products include QD Vision and Weinberg Medical Physics. Controlled through a Web-based application, a remote-presence robot allows a telecommuting worker to remotely attend meetings, drop into the offices of colleagues, and otherwise collaborate with people in another office. With cameras in the eyes to capture video, speakers and microphones to relay sound and a laser pointer “finger,” the user can see what the robot sees and direct it around by using a computer’s arrow keys. Companies such as Procter & Gamble use these remote-presence robots to increase the efficiencies of teams working across the world. Ten times stickier than Velcro and reusable gecko-inspired glues, Super Velcro is an extremely strong adhesive that comes apart when heated. Using shape-memory polymers, General Motors researchers have created a product that allows a strong but alterable bond that replaces liquid adhesives requiring lengthy oven curing, which consumes a lot of energy, or foam tapes that do not provide high adhesion strength. Super Velcro is currently used for interior and exterior automotive trims with potential applications for furniture, toys, and buildings. The Colorado Asphalt Pavement Association recognized Clear Creek County’s Bakerville to Loveland Bikeway and Pedestrian Trail as the Best Overall Quality of Special Use Pavements in their 17th Annual “Best in Colorado” Asphalt Pavement awards. PBS&J, an Atkins company, navigated the fast-tracked project through intergovernmental agreements, design, advertisement, award, and construction management. Prior to completion of the project, the only accessible route for cyclists along the five-mile stretch between Bakerville and Loveland was on the shoulder of Interstate-70. An existing dirt path that ran parallel to the interstate was not well-suited to bicycling. Now, in cooperation with the Colorado Department of Transportation, United States Forest Service, Clear Creek Ranger District of the Arapaho National Forest, and the Federal Highway Administration, Clear Creek County offers hikers and bikers a scenic and safe recreational trail. The initial budget for the project, funded by the American Recovery and Reinvestment Act (ARRA), allowed for only a portion of the path to be paved. But as a result of PBS&J proposing a fixed-budget, best-value contracting method to eliminate the risk of budget overruns, the ARRA contribution was doubled, alloweing for the paving of the entire five-mile trail. Founded in 1960 and based in Florida, PBS&J provides engineering, planning, architecture, construction, environmental, and program management services. The firm has approximately 2,700 employees and more than 80 offices in the United States. 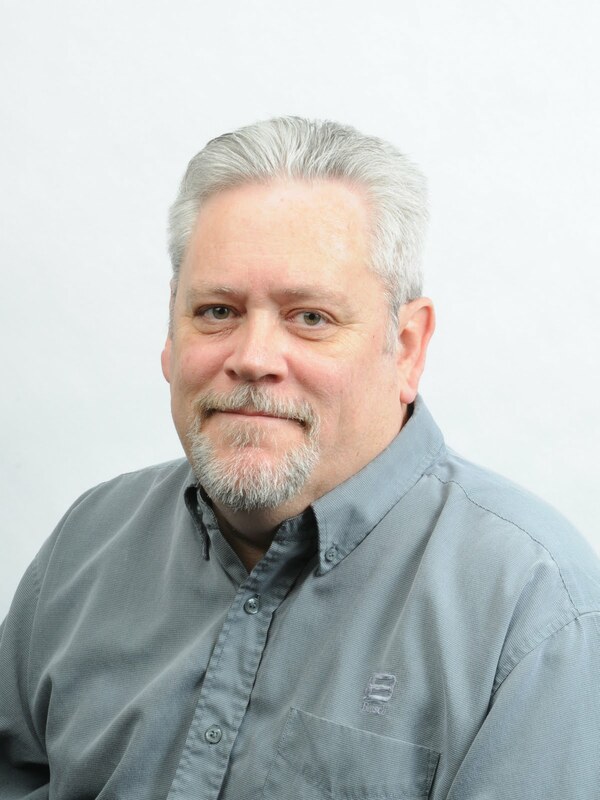 The Plastics Pipe Institute (PPI) announced that Randy Knapp has joined the organization as director of engineering, Fuel Gas and Building & Construction Divisions. Reporting to the PPI executive director, Knapp will be responsible for the institute's technical, marketing, and industry outreach programs. Knapp had been the brand/product manager for UPONOR - USA, a member company of PPI, a membership-based trade association representing all segments of the plastic pipe industry. The mission of the organization is to promote plastics as the material of choice for pipe applications. "This newly created position provides increased stewardship for two divisions within PPI where growth indicators for market expansion are clear,“ Tony Radoszewski, executive director of PPI says. 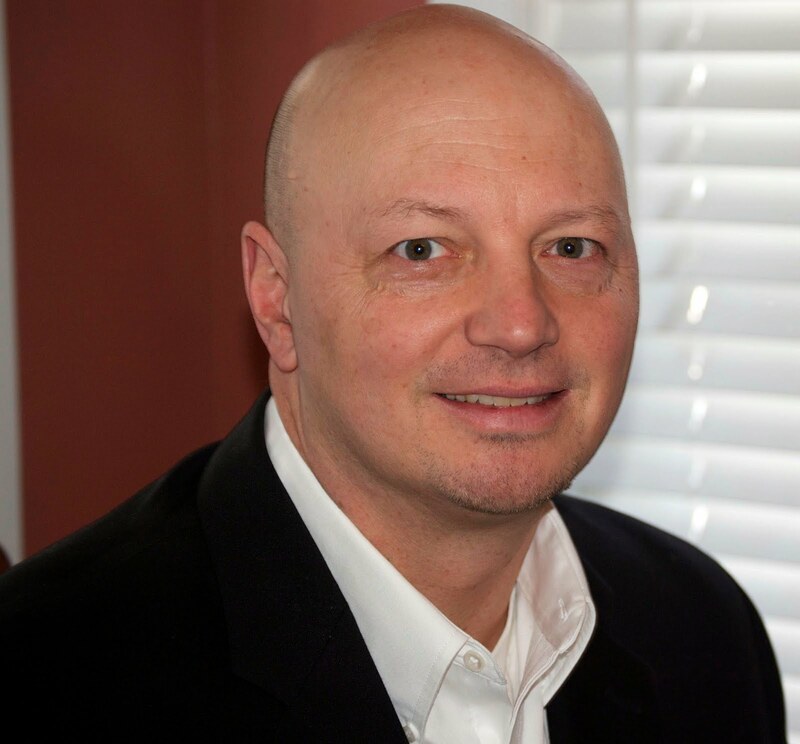 "His extensive professional background, knowledge of the PPI, its goals and challenges, along with his academic accreditations and his insight about national standards organizations all combine for our greater benefit and that of the industry overall. Randy’s main focus will be further advancing that knowledge and broadening the scope of end-users of polyethylene pipe within these divisions." Knapp earned a B.S. in Mechanical Engineering from California State University - Northridge, an MBA from the University of St. Thomas (MN), and is completing his Ph.D. dissertation at the University of Minnesota. Additional information can be found at www.plasticpipe.org. Leroy Hood of Seattle, Wash., was honored with the Fritz J. and Dolores H. Russ Prize recently during a gala held by the National Academy of Engineering (NAE). The Russ Prize, created by Ohio University with a gift from alumnus Fritz Russ and his wife, Dolores, was among the engineering profession's highest honors for 2011 during the black-tie dinner event at Union Station in Washington, D.C. Hood received the $500,000 biennial award, which recognizes a bioengineering achievement in widespread use that significantly improves the human condition, for developing the DNA sequencer. Hood's invention made possible the sequencing of the human genome in just more than a decade instead of a century. "The human genome project transformed biology as perhaps no other science project has ever done," Hood said, noting that the project "democratized" all human genes by making them accessible to all biologists. An inventor, scholar, and visionary, Hood has pioneered bringing engineering to biology through his invention and commercialization of many of the key analytic instruments in use today and through his successful application of these instruments to some of the most fundamental problems in modern biology and medicine. To date, more than 1,000 genomes have been revealed using the automated DNA sequencer, transforming many areas of biology. The advancement has also led to expressed sequence tagging, which ultimately helped to predict gene function; the ability to identify genes involved in diseases; a change in how pharmaceutical companies make drugs; and an economic impact in the life sciences and healthcare estimated to be in the hundreds of billions of dollars. Hood, president and co-founder of the non-profit Institute for Systems Biology, and his colleagues currently are using advances in genomics, proteomics, and molecular diagnostics to pioneer advances in diagnostics, therapeutics, and prevention that will focus increasingly on promoting wellness rather than merely treating disease. Hood predicts a sea change in healthcare as we know it with the advent of what he terms "P4" medicine -- predictive, preventive, personalized and participatory – made possible by his work. "This revolutionary new medicine will have important societal implications by sharply turning around the ever escalating costs of healthcare, and important medical implications because the twin vision of P4 medicine are wellness quantified and disease demystified," Hood explains. Previous Russ Prize recipients include Elmer Gaden (2009), engineering and commercialization of biological systems for large-scale manufacturing of antibiotics and other drugs; Yuan-Cheng "Bert" Fung (2007), the father of biomechanical engineering; Leland C. Clark Jr. (2005), inventor of biosensors; Willem J. Kolff (2003), the father of artificial organs; and Earl E. Bakken and Wilson Greatbatch (2001), inventors of the heart pacemaker. 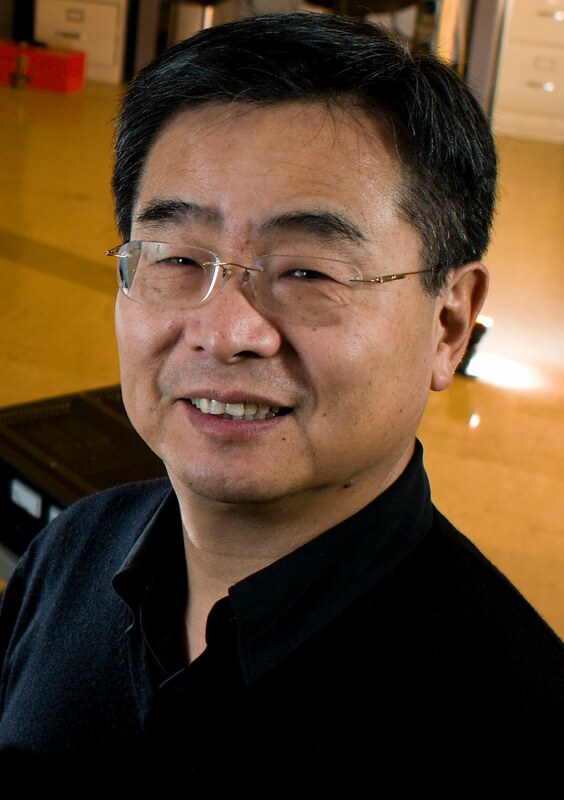 Fred Lee, an internationally recognized leader in the field of power electronics, is one of 68 new members elected to the National Academy of Engineering for 2011. 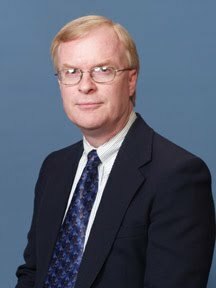 For some three decades, Lee’s work has led to a paradigm shift in the manufacturing of power electronics products, including both computers and telecommunications, motor drives for heat pumps, air conditioners, and other industrial and commercial applications. "Almost everything a consumer touches has power electronics in it. It is really an enabling technology that is not visible,” Lee explains. He and his research group are changing the way electricity is used. For example, if data centers, which use enormous amounts of energy, can be redesigned from the current AC distributed system, using off-the-shelf equipment, to a new power system architecture based on high-voltage DC systems, an initial study shows the efficiency could be improved some 10 to 20 percent. Web giant Google claimed that every one percent improvement in the efficiency of the data center means a $1 million savings in electrical energy bills, according to Lee, who started at Virginia Tech in 1977. In 1983, Lee, a Virginia Tech University Distinguished Professor, founded the Virginia Power Electronics Center. In 1987, the center was designated as a Technology Development Center of the Virginia Center for Innovative Technology. Under Lee’s leadership, this center became the largest university-based power electronics research group in the country. More than 90 industries became associated with the center. In August 1998, Lee was successful in competing for a National Science Foundation Engineering Research Center called the Center for Power Electronics Systems, with total National Science Foundation funding that exceeds $30 million. Lee directed this government center, comprised of five universities and more than 100 corporations, for 10 years, the maximum number allowed by the scientific agency. Lee’s vision was to make the U.S. the most efficient user of electrical energy in the world and to guide the center's work to produce a 30 percent savings in electric power consumption. Afterwards, the center needed to be self-sustaining, and Lee accomplished this goal. Lee has pioneered lecture and laboratory courses to support power electronics and has supervised 80 master’s level and 69 Ph.D. students. Since 1977, total funding secured by Lee exceeds $87 million. He invented a new generation of high frequency power conversion devices known as quasi-resonant converters and multi-resonant converters and various soft-switching pulse-width modulation techniques. These devices have led to the development of the latest generation of power conversion equipment, offering notable reduction in size and weight as well as significant improvement in power conversion efficiency and reliability. He holds 69 patents. All manufacturers of computer processors use a multi-phase voltage regulator module (VRM) that Lee’s lab helped develop. Since 1998, every microprocessor (Intel and otherwise) has been powered with this multi-phase VRM technology. It has enabled the U.S. power electronics industry to continue maintaining its leadership in both technology and market positions, allowing new job creation and job retention in the American workforce. Lee earned his master’s and doctoral degrees in electrical engineering from Duke University in 1972 and in 1974, respectively. He earned his undergraduate degree from the National Cheng Kung University in Taiwan in 1968. Finding the right industrial pump suppliers and getting multiple price quotes has gotten easier with the debut of PumpScout.com, a search engine that helps pump buyers such as engineers, maintenance professionals, and contractors connect with pump suppliers and get quotes. The website invites buyers to enter their pump system criteria and then identifies suppliers that sell the pump they need. Pump buyers can even specify whether they want service from a local or national supplier. PumpScout.com features more than 80 pump suppliers and their product lines including Blackmer, AMT, Ruhrpumpen, Griswold, Wilden, and Cat Pumps. The suppliers’ products serve multiple industries including oil and gas, chemical process, water and wastewater, construction, mining, power generation and more. “Pump buyers understand their system criteria and have an idea of the type of pump they are looking for, but getting quotes from multiple suppliers can mean hours trolling the Internet. PumpScout.com saves buyers that time and provides a quick and easy way to compare price quotes for the pump they need,” says Justin Johnson, PumpScout.com co-founder and CEO. PumpScout.com also includes numerous tips and tools from experts in the fluid handling industry. The comprehensive Pump Types Guide is an easy-to-use resource for those needing to identify the right pump type(s) for their application. And PumpScout.com’s Expert Tips articles provide additional advice from consultants and industry experts on topics from saving money and time in buying pumps to practical pump maintenance. For more information, visit www.PumpScout.com. GEI Consultants, a geotechnical, environmental, water resources, and ecological science and engineering firms, has hired Steven Thorne, P.E., D.GE as a senior consultant in its Montclair, New Jersey office. With over 25 years of experience, Thorne’s specialties include geotechnical engineering and geo-environmental consulting. A Board Certified Geotechnical Engineer (D.GE) with the Academy of Geo-Professionals, Thorne's areas of geotechnical expertise include deep foundations, soft ground construction, slope stability, ground improvement and seismic evaluation. His geo-environmental experience includes site investigations, remedial investigations and remedial action work. Reporting to Fred Johnson, Atlantic Region manager and Matthew Levinson, P.E., senior environmental engineer and the Montclair office branch manager, Thorne will serve as senior geotechnical practice leader, focusing his efforts primarily on New York and New Jersey while servicing select national clients. Thorne has more than 25 years of geotechnical engineering experience in the region. “We’ve known Steve for years and have always been very impressed by his technical reputation,” says Johnson. “As our technical practice continues to grow, we began searching for an individual with the right mix of experience, knowledge, and industry reputation. We are fortunate to add Steve to our East Coast team.” Thorne, who received his Bachelor and Master of Science degrees from Rensselaer Polytechnic Institute in Troy, New York, is a registered professional engineer in New Jersey, New York, Pennsylvania, and Delaware. GEI's multi-disciplined team of engineers and scientists deliver geotechnical, environmental, water resources and ecological solutions to diverse clientele nationwide. For more information, visit the firm’s website at www.geiconsultants.com. Baisch Engineering, an engineering and consulting firm providing full-service integration for process-related industries, has elected Keith Piepenburg, P.E., Baisch principal and process department manager, to their board of directors. Keith now holds the title of corporate director and process department manager. Piepenburg has been a Baisch employee for 33 years and a shareholder for the past 13 years. He is responsible for overseeing 30 employees in the Process Department. His experience in the pulp and paper industry includes installation of new paper machines, paper machine relocations, and a number of major paper machine rebuilds related to a variety of paper grades as well as a broad spectrum of other projects. Based in Kaukauna, WI, Baisch Engineering has about 90 employees and was founded in 1958. Baisch provides services nationally and internationally, including process, mechanical, civil, structural, architectural, electrical, instrumentation and process control, and project administration. Beaudin Ganze Consulting Engineers (BGCE) has added another staff member to its Albuquerque, New Mexico office. 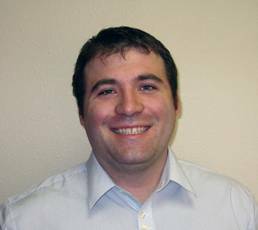 Brandon Tyler joined BGCE last week after graduating from Oklahoma State University with a degree in mechanical engineering. Brandon performed HVAC and plumbing design on the OSU Houston Center and NEO Student Union renovations and upgrades. BGCE plans to put Brandon’s education and work experience to good use on mechanical engineering projects for educational, healthcare, commercial, and government clients. Beaudin Ganze Consulting Engineers is involved in LEED, commissioning, energy audits, mechanical, electrical, lighting and technology engineering services from offices in Albuquerque; Denver, Fort Collins, and Vail, Colorado; and Truckee, California. Sustainable design for reduced operating and maintenance costs is fundamental to the firm’s practice. Since inception in 1991, BGCE has grown to over 50 staff members, of which 24 are Professional Engineers and 81 percent are LEED Accredited Professionals. For more information, visit www.bgce.com. 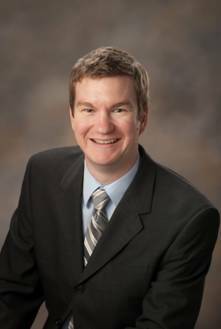 Ruekert/Mielke announces that Jason Lietha, P.E. has been named a stockholder with the firm. Manager of Ruekert/Mielke’s Madison, WI office, Lietha has worked on numerous public works projects during the course of his 13-year career as a Professional Engineer in Wisconsin. He has designed sanitary sewer and water distribution systems, business parks, street reconstructions, and stormwater management programs. Lietha serves as the contract engineer for the City of Columbus, Wisconsin and holds a B.S. degree in Civil and Environmental Engineering from the University of Wisconsin-Platteville. Ruekert/Mielke of Waukesha, WI is a multi-disciplinary firm offering civil engineering and municipal services. Ruekert/Mielke assists with transportation engineering, water and wastewater management, storm water management, municipal and financial planning, landscape architecture, electrical engineering, computer software design, construction review services, and GIS and SCADA control system projects. The firm has provided services to numerous municipalities in Wisconsin and northern Illinois since 1946. Dewberry, a privately held professional services firm, has named James Keith senior project manager for the firm’s Denton, Texas office. In his new role, Keith will manage projects, provide senior technical guidance for local staff, and develop Dewberry’s water resources presence locally in North Texas. 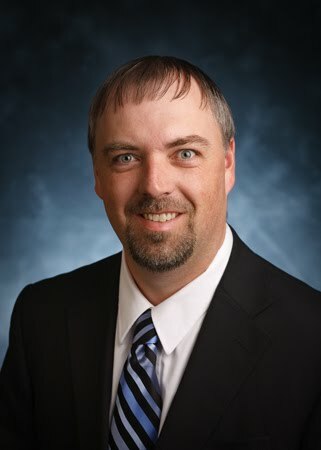 Keith brings over 10 years of experience planning and designing flood control and water resources projects primarily in the Dallas/Fort Worth Metroplex for local municipal and agency clients. Keith spent the last four years leading all modeling aspects for the design of a 1.6-mile bypass channel and ecosystem restoration areas for the Trinity River in Fort Worth, Texas. Keith received his bachelor’s in hydrology and water resources fromTarleton State University. He is a member of the Texas Floodplain Management Association and the American Society of Military Engineers. Dewberry provides architecture, engineering, and management and consulting services to public- and private-sector clients. Established in 1956, Dewberry is headquartered in Fairfax, Virginia with more than 40 locations and 1,800-plus professionals nationwide. To learn more, visitwww.dewberry.com. Phoenix, Arizona's METRO received regional approval recently from the Maricopa Association of Governments (MAG) to move forward with 2.6-miles of modern streetcar that will run in the Mill Avenue corridor between Rio Salado Parkway and Southern Avenue in Tempe. The streetcar project is a result of a three-year study that evaluated high-capacity transit improvements to support Tempe and Chandler and enhance the existing, regional transit network. Several study recommendations were made and approved by the Tempe City Council and METRO’s Board in November and MAG’s Regional Council at a recent meeting meeting. In addition to streetcar, the study calls for a bus rapid transit (BRT) line on Rural Road, connecting the cities of Tempe and Chandler. Both streetcar and BRT are viable projects and should be implemented as funding permits. Streetcar will advance first as local funding is available from Proposition 400, a countywide, half-cent transportation sales tax renewed by voters in 2004. METRO will also apply for a federal grant to support approximately half of the $160 million capital cost. The MAG action adds the project to the long-range transportation plan and transportation improvement program, which underwent an air quality conformity analysis in January. Also in 2011, METRO, working closely with the city of Tempe, will convene a community working group to help technical staff define the vehicle, stop locations and street configuration of the future streetcar project. At the same time, METRO will begin its application to the Federal Transit Administration for grant dollars. Construction is slated to begin in 2013 and operations in 2016. For more information, including maps, collateral material and FAQs, on Tempe Streetcar, visit www.metrolightrail.org/tempesouth. Three people have joined Mulkey Engineers & Consultants’ board of directors, including Loren Sokolow, Teresa Helmlinger Ratcliff and William G. Marley, Jr.
Loren Sokolow, CFO and treasurer of Los Angeles-based Psomas, an employee-owned civil engineering and surveying company, has more than 20 years experience as a financial and operations executive. Sokolow will advise and direct Mulkey financially with his consistent record of streamlining business operations and increasing profits. Teresa Helmlinger Ratcliff, PhD, PE, assistant vice chancellor, extension and engagement for North Carolina State University, is responsible for directing all facets of business in the nation’s first university engineering extension service. As executive director of the Industrial Extension Service (IES) at NC State, she leads the effort to offer technical and technology management assistance to businesses and industries across the state of North Carolina. Mulkey will benefit from her knowledge of current and up-to-date software and technology. A graduate of North Carolina State University and Duke University, Ratcliff is the only North Carolinian and only woman to have served as president of the National Society of Professional Engineers. She currently serves as the Chairman of the Board of the North Carolina Board of Examiners for Engineers and Surveyors. William (Bill) Marley, PE, PLS, has more than 42 years of civil engineering experience, specifically highway planning, design, construction, maintenance, and management. Most recently, Marley served as VP/area manager of Parsons Inc. in their Raleigh, NC office. Prior to that, Marley was the state highway administrator for the North Carolina Department of Transportation, where he retired from service after 31 years. Marley’s experience and knowledge will provide Mulkey with insight into transportation planning and design. Mulkey Engineers & Consultants is a full-service engineering firm that employs 125-plus employees with offices in Raleigh, and Charlotte, NC; Newberry, SC; and Atlanta, GA. Services include land development, building structures, surveying, subsurface utility engineering, environmental, special inspections, transportation, and construction services. The firm serves both public and private clients including municipalities, state departments of transportation, colleges and universities, local and national architects and developers, commercial entities, and community organizations. To learn more, visitwww.mulkeyinc.com.